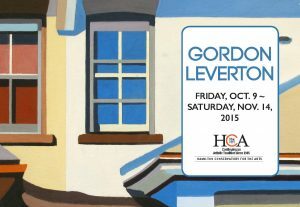 Gordon Leverton is a member of several guilds and artist groups including Hamilton Artists Inc. and Hamilton Arts Council, as well as an elected member of The Society of Canadian Artists. He recently sat on the McMaster Children’s Hospital artist advisory committee and currently sits as president of the West Hamilton Artists Tour, of which he is a founding member. Gordon Leverton was awarded an honourable mention award at the 2014 juried Toronto Outdoor Art Exhibition, and has received first place awards in the Junction Juried Art Exhibition and the Riverdale Art Walk in Toronto.